What are the unconscious processes involved in reading literature? How does literature influence our psychological development and existential challenges? A Psychoanalytic Perspective on Reading Literature offers a unique glimpse into the unconscious psychic processes and development involved in reading. The author listens to the "free associations" of various literary characters, in numerous scenarios where the characters are themselves reading literature, thus revealing the mysterious ways in which reading literature helps us and contributes to our development. The book offers an introduction both to classic literature (Poe, Proust, Sartre, Semprun, Pessoa, Agnon, and more) and to the major psychoanalytic concepts that can be used in reading it – all described and widely explained before being used as tools for interpreting the literary illustrations. The book thus offers a rich lexical psychoanalytic source, alongside its main aim in analysing the reader’s psychological mechanisms and development. 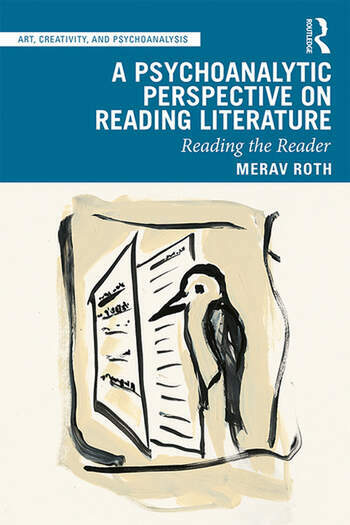 Psychoanalytic interpretation of those literary readers opens three main avenues to the reader’s experience: 1) The transference relations toward the literary characters 2) the literary work as means to transcend beyond the reader’s self-identity and existential boundaries and 3) mobilization of internal dialectic tensions towards new integration and psychic equilibrium. An Epilogue concludes by emphasising the transformational power embedded in reading literature. The fascinating dialogue between literature and psychoanalysis illuminates hitherto concealed aspects of each discipline and contributes to new insights in both fields. A Psychoanalytic Perspective on Reading Literature will be of great interest not only to psychoanalytic-psychotherapists and literature scholars, but also to a wider readership beyond these areas of study. Merav Roth, Ph.D. is a Training Analyst and cultural researcher. She is former Chair of the Postgraduate Klein Studies program and of the Doctoral unit for the Interdisciplinary Psychoanalytic Ph.D. and currently Chair of the Psychotherapy Program at the Sackler School of Medicine, Tel-Aviv University, Israel. She co-Edited Melanie Klein: Essential Writings Volume II with J. Durban (2013).